In the summer of 1905, 22 interested parties gathered at the home of John E. Paul, to discuss the formation of a fraternal order. Less than a year later, “The Homesteaders” emerged with the purpose of providing insurance benefits to its members for final expenses. Policy Certificate Number One was issued in Paul’s name on February 23, 1906. Elected the association’s first president, Paul declared a theme of “neighborly cooperation, fraternity, mutual helpfulness, protection, and patriotism.” While Homesteaders was still in its infancy, the leadership of this new society would face one of the most profound periods of economic strife, war and social unrest in American history. Through it all – World War I, the flu epidemic of 1919, and the “Crash of ’29” – Homesteaders paid every claim without a single additional assessment or increase in premium. These early tests of our resolve became a benchmark of the tradition of strength that exists yet today. 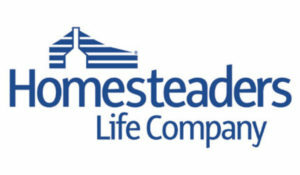 As a mutual insurance company, Homesteaders is dedicated to ensuring the security of policyholders’ funeral funds. Today we offer a full range of funeral funding products including funeral insurance and funeral trust. Highly personalized memorial events are now the choice of many families, and Homesteaders continues to take a leadership role in helping funeral homes to become proactive in meeting families’ changing funeral care needs. It’s all about promoting the value of funeral service – and a strong advance funeral planning program supported by Homesteaders can make all the difference!